Pay what you can afford. No questions asked. 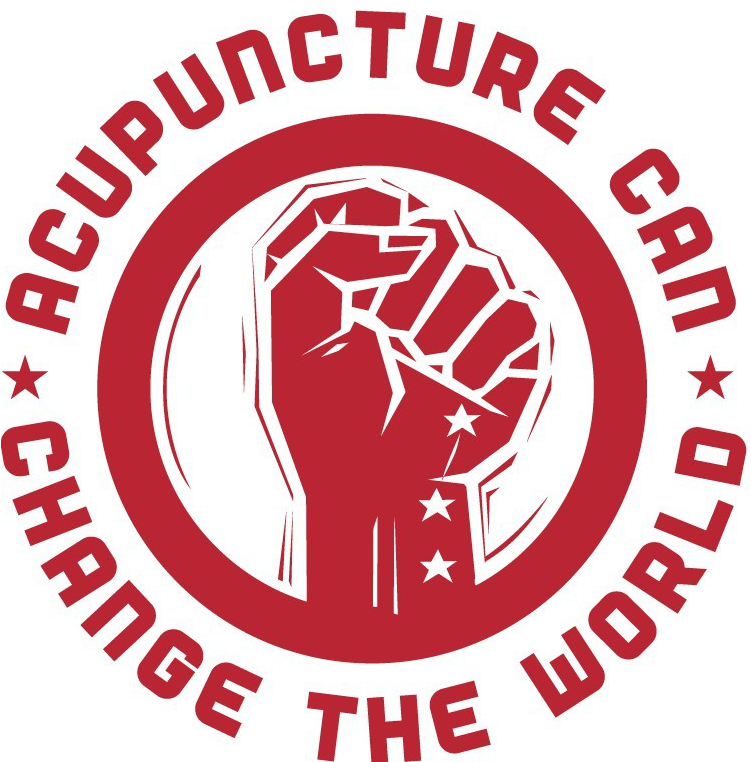 Working Class Acupuncture works to create a safe and comfortable environment for all members of our community. We welcome people of all genders, sexes, races, colors, incomes, national origins, ages, abilities or disabilities, marital statuses (legal or otherwise), familial situations, religions, sizes and shapes, sexual orientations, and political beliefs. Your level of care will never be based on any of these factors. *There is an extra $10 new patient paperwork fee for the first visit. You decide what you can afford. Working Class Acupuncture strives to make acupuncture affordable for you to come as often and for as long as needed in order to feel better! Does an acupuncture treatment hurt?? Usually not much at all. Most people are deeply relaxed and/or asleep once all points are placed. Do I have to believe in acupuncture for it to work?? Not at all – animals get good results from acupuncture just like people, and we're pretty sure that they don't believe in it. We like skeptics. You just need to have enough of an open mind to want to find out if acupuncture will work for you, and you will only know that for sure by experience. We suggest you try it and see what you think. Should I wear special clothing so you can put needles in my shoulder/back/hip?? Nope, just wear loose, comfortable clothes that roll up to your elbows and knees. We are able to treat all kinds of conditions (even your shoulder/back/hip pain) by using a style of acupuncture that uses points primarily below the knees and elbows and above the neck. While some acupuncturists tend to favor lots of points on the torso this is usually a matter of personal preference and style, not a necessity to get effective results from acupuncture. There are literally thousands of different ways to do acupuncture, and all of them seem to work, and as far as we can tell, no one way seems to work substantially better than any other. There are no studies that we know of that prove that acupuncturists who specialize in a particular area get better results than acupuncturists who don't specialize; there are, however, recent studies out of Germany that suggest that even when you do acupuncture “wrong”, it still works. Why did you put that needle there?? Probably the most frequently asked question in any acupuncture clinic, anywhere. Our friend and comrade Andy Wegman wrote an entire book with this title! You can listen to him read his book, download it for free, or buy a copy from Amazon. We also have copies for sale in our clinics. Can I address more than one health issue at a time with acupuncture?? Absolutely. Though we don't know exactly how acupuncture works, we do know that it often acts like a re-set button for the entire body. Often, patients who come in for one issue will notice an improvement in something apparently unrelated. This can happen even when the patient doesn't tell the acupuncturist about the apparently unrelated problem. Acupuncture also seems to have the "side effects" of reducing stress and promoting better sleep and more energy. Which of your acupuncturists specialize in fertility/sports medicine/pain management/etc?? For philosophical reasons, none of our acupuncturists specialize in anything. All of us have lots of experience treating lots of different conditions, because an acupuncturist who works full time at WCA generally treats between 90-120 people each week. We believe that acupuncture is helpful for most problems based on patients being able to get enough treatments, not on being able to see an acupuncturist with a particular area of interest. We think you should see whichever acupuncturist you like best. And don't worry, we're not competitive, and we won't be offended if you like one of us better than the others. All of us get good results and all of us have people who like one of us better than the others. If you're not sure who you like best, feel free to try all of us until you find a good fit. Also, it's OK to see more than one of us; our styles are slightly different, but our clinical approaches are essentially the same. Can I combine acupuncture with massage/chiropractic/osteopathic treatment/medication /exercise/etc?? You can combine acupuncture with almost anything; that's one of the lovely things about it. Nothing is going to make it less effective, and it doesn't interfere with anything else. It's one of the reasons that so many doctors refer their patients to acupuncture. Do you treat pregnant women?? Yes. We get lots of referrals from midwives and obstetricians because acupuncture is effective for many pregnancy-related conditions. Also, there's a rumor that women who get acupuncture throughout their pregnancy tend to have calm babies. Yes. Acupuncture is often very effective for children and teens, and many of them love it. We ask only that the child in question is willing to try acupuncture; we don't want to treat unwilling patients of any age. I'm an acupuncturist and I want to do this!? 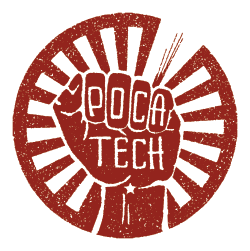 Read our book Acupuncture Is Like Noodles, watch our documentary, get yourself to a workshop, and join POCA. I'm a patient and I love what you do! How can I help?? What about people sneezing and coughing in the community room? Should I be concerned about getting sick when other people are sick?? Not all coughs and sneezes that you hear are contagious. Also, flu and cold seasons come around every year. These cyclical infectious diseases require ongoing person-to-person contact in order to thrive. Often times, trying to keep from falling ill or wanting to recover quickly from illness is specifically what brings us to our local community acupuncture clinic. The Respiratory Hygiene/Infection Control guidelines from the Center for Disease Control recommend that people with infectious respiratory diseases be separated from other people by at least 3 feet (measured from nose to nose). 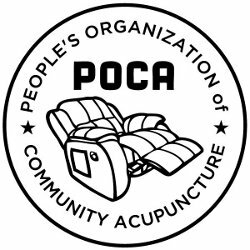 Interestingly enough, in order to treat people in the community acupuncture setting, recliners need to be about 3 feet apart simply so that the acupuncturist can move between them. So the community acupuncture clinic by its very nature separates patients with infection respiratory diseases from each other. We encourage our patients to get in the habit of protecting themselves from getting sick by doing important things like making sure they are getting enough rest, managing stress levels, drinking adequate fluids, washing hands regularly and generally taking good care of themselves. This is recommended not just during high risk seasons, but year ‘round.